If you follow me on Twitter @JourneywithMaya, you know that amongst my postings I mention the Moon going void often. I may have previously written about the Void Moon, but I feel, with the times we are now in, emphasizing the importance of the energies provided at these times is so very valuable. As we know, the Moon passes through all the signs of the zodiac in its monthly journey around the Earth. 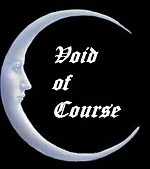 The Moon becomes “Void of Course” when it gets to the end of a sign and has passed beyond the last major aspect with any other planet. This can last a few seconds, minutes or it can last for even a day or two. The most important message or energy of this period of being void is that we should turn our attentions inward and contemplate the things that are spiritual, as opposed to the regular direction of our attention – which is outward and all about the mundane or physical world. For some, these periods when the Moon is void can make them feel disconnected or confused as to which way to go or what to do. This can cause poor judgment and makes the practices of grounding and centering quite important to our day-to-day living. Void Moon also brings with it the opportunity to learn to let go and just be, allowing life to flow freely – like a river. Heaven knows, this would aid us all in reducing our stress levels, even if just for a short while! If you want to add another valuable tool to your life’s tool box, I invite you to join me on Twitter for daily updates on the sign the Moon is in, when it’s Full and when it’s New, what the Sun’s sign combined with the Moon’s sign brings and, of course, when the Moon goes void. As mentioned, you can find me @JourneywithMaya See you there!!! 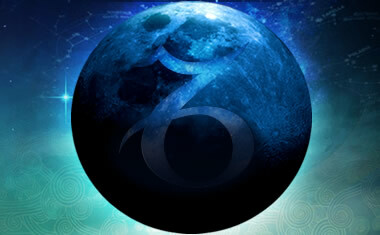 The New Moon will happen in the sign of Capricorn on Friday, January 11th at 2:44 p.m. EST. The Moon’s sensitivity is weighted down by the heaviness of Capricorn – ruled by the leadened Saturn, bringer of lessons. For this reason, it can cause those affected by its energies to pay little or no attention to sentiment. With both the Sun and Moon in Capricorn now, there is a tendency toward despondency and other psychological problems that may relate to a bad relationship with ones mother. Feelings are not expansive right now and there is a tendency to retreat inward and live in loneliness rather than to reach outward. The good news is that the Moon in Capricorn gives ambition and the willingness to be a real workhorse when one sees the rewards presented by that work. Moon in Capricorn also bestows the ability to make quick decisions. One sees a problem and is able to see the resolution to it in a split second and still be correct. The two sides of this same coin can provide each of us with a great deal of insight into our own inner workings this New Moon! Mercury transits into Aquarius on Saturday, January 19th at 2:25 a.m. EST giving a quickness of thought to the minds of those affected by these energies. The mind is open to new ideas and able to receive those ideas from all realms of existence. 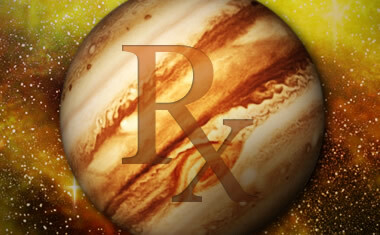 There is a likelihood of telepathy occurring now for those in sync with the energies of Mercury in Aquarius. This is also an excellent time for astrological and occult work. This is a time for organizational or group work. Humanitarianism is strong now and the mind is stimulated through work with and friendship with others. You may desire the company of intellectual minds and elderly persons for their wisdom and experience. The sign of Aquarius will also see the arrival of the Sun, in its yearly sojourn, on Saturday, January 19th at 4:52 p.m. EST. The keywords to the energies of this sign are original, inventive, intellectual, independent, humanitarian, impersonal, revolutionary and unconventional to mention just a few. If you’re looking for energies to help you break a habit, look at things from a different perspective, or just motivate you to do something wild and crazy…here’s your sign!!! Uranus is considered a higher octave or Mercury, therefore, the mind is beyond quick. It almost moves at the speed of a computer. Because of this, forgetfulness is common. If you don’t say what’s on your mind…it’s gone! Good luck remembering what it was you wanted to say! These are freedom-loving energies and being restricted right now can be difficult for anyone feeling the affects of these energies. This is the time to practice diplomacy and being gentle to overcome the desire to rebel against restrictions and responsibilities. 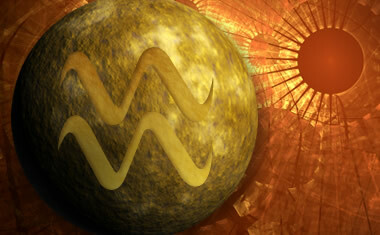 Things happen suddenly, often coming out-of-the-blue, under the influence of the Sun’s transit through Aquarius. This can be very helpful if you practice visualization and wondered when the manifesting would happen. It’s quite possible that “BAM!!! There it is!” happens while the Sun occupies this very electric sign. All in all, the opportunity for some really revolutionary things to happen suddenly in our lives during this time. Up for an adventure? I wanted to remind everyone that Jupiter in Gemini, which has been retrograde since the 5th of October, is still and will continue to be retrograde until January 30th. “Here, we are being offered an opportunity to use these energies to unite our higher and lower minds. We all have experienced years of conflict between the two and our very accustomed to basing our lives and our decisions on the philosophies and ideas of other people. Thus, most of us have become separated from our own personal truth. “We have spent most of our lives absorbing these philosophies and ideas from outside ourselves without really taking the time to realize what is true for each of us on an individual basis. “Now along comes Jupiter in Gemini retrograde offering us the opportunity to take a practical approach to this and adopt what rings true for us while discarding that which doesn’t feel right or doesn’t apply. Three weeks of retrograde motion remain. That’s three weeks of opportunity to use these energies to unite the two sides of your nature and find your personal truth. This is a real opportunity. Don’t let it slip away! Well, time to mosey along. May the stars shine brightly on your path, showing you the way to health, wealth, and happiness! 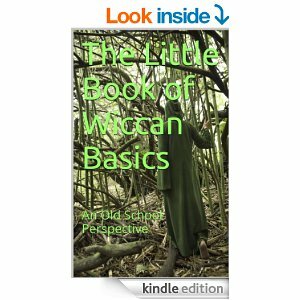 This entry was posted in Astrology and tagged Higher Self, Jupiter, Law of Attraction, Magick, Metaphysics, New Moon, Paganism, Retrograde Planets, Self-Empowerment, Self-Help, Spirituality, Sun in Aquarius, Transformation, Wicca. Bookmark the permalink.